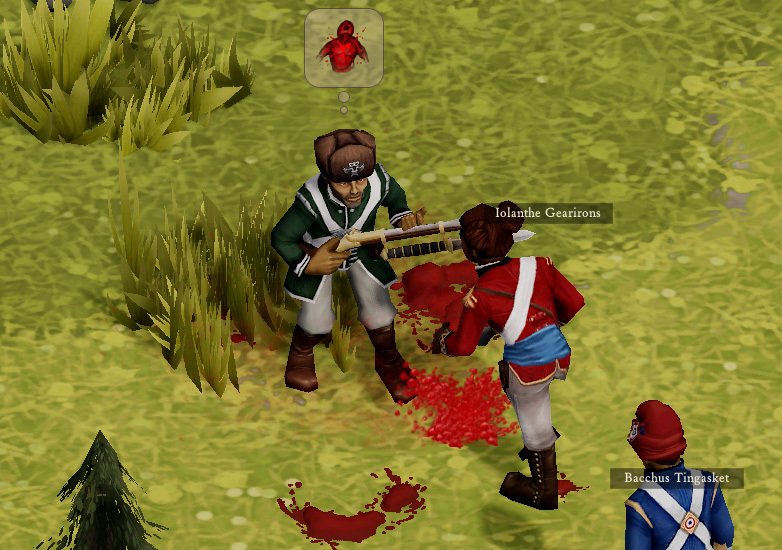 Players order their colonists around in the grand bureaucratic tradition by creating assignments which are claimed by workcrews with the appropriate filters toggled. This is all very appropriate, hierarchical, and Victorian. What about the other factions in the game, won’t somebody think of the Fishpeople, the Bandits, and the Foreigners? The first goblin-level implementation of Fishpeople involved spawning a whole mess of ’em and giving them the desire to rush the player’s colony and murder everything in sight, human or cabbage. The second level implementation of this sort of thing saw Bandits spawn with a notion of a group that has a home camp. The improvement pass on this gave bandit gangs names, leaders, and connected the morale state of bandits to one another. Worthy allies or anti-monarchist revolutionaries? Faction missions are a mechanism by which non-player faction groups control collections of individual agents. There’s an active component to this in which an agent who is otherwise idle requests a task from its group. Upon receiving a “give me a job” request, the group will assign a task appropriate to the groups mission, the most common of which is to “walk to this given position” or “walk off the map”. 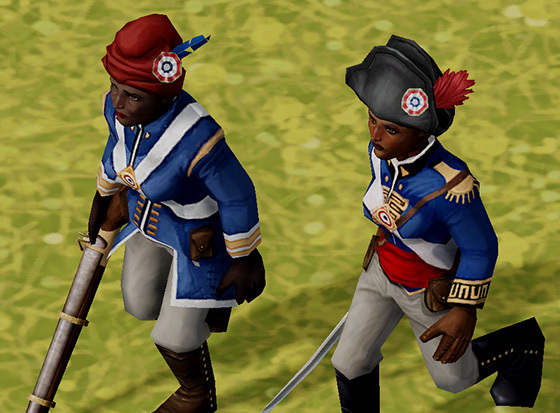 The passive component is in how the group toggles various flags to control what set of jobs a member agent will consider carrying out in reaction to various situations (and how, in turn, your colonists will react to them). For example if an allied foreign military unit patrols by your settlement, it’s possible for one of your colonists to strike up a conversation with one of the soldiers. If a Deathwurm leaps out of the foliage to eat your colonist, the allied soldier will help shoot it. Now if that foreign military unit is hostile, then your people will flee, your soldiers will attack, and the foreign troops will fight back. An allied Mecharepublicain conscript assists NCO Iolanthe Gearions fight off this Novorusian levy. A simple “walk-to” command and behaviour toggles give us radically different results between friendly and hostile military patrol mission. The current set of missions is fairly straightforward but demonstrate the framework upon which much greater complexity can be built. Now if you’re curious to meet the foreigners and engage in Fishperson Diplomacy, you simply must check out the upcoming experimental update of Clockwork Empires, which will be version 39A. Hm, if this game has traps, I think it’s time that happy accidents start becoming a part of daily life. Want to take your tribute? Well, you can. If you can pass through this lava moat! How does the character know if there are more important jobs to do before querying of jobs? Jobs have a utility value which can be evaluated against other jobs. A huge number of factors can affect utility so, for example, a “Xenophobic” character would weight “Intimidate Fishperson” much higher than normal. Or a hungry character will certainly weight “Eat Food” higher than “Gossip”.